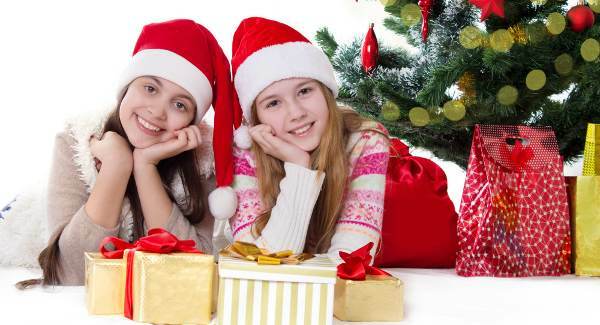 Tweens and teens can be difficult to shop for. Their focus on what's cool and what's not is laser sharp. Fortunately, we have a list of tech gifts sure to please and even more in our Stocking Stuffers for Kids guide. Some of the earlier robot-building-and-programming Mindstorms kits could be a bit intimidating to all but the most tech-savvy kids. 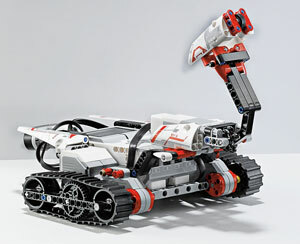 But the new EV3 series updates the programming experience with simple, icon-based tools. The kit gives robot builders designs for five different robots to build, and intrepid designers can come up with their own and then share them with the robust Mindstorms community. Control your robots with an iOS or Android device, a small remote or your computer. The powerful EV3 brick, the brain of each creation, features Wi-Fi connectivity, USB and micro-SD ports and color and touch sensors. It’s a cool, rich experience that could spell countless hours of immersion. Braven makes an entire line of great Bluetooth speakers, but the Braven 570 is the best (and best priced) choice for teens who want to listen headphones-free from any Bluetooth-enabled device. With dual HD drivers and 6-watt speaker output, it’s got enough sounds to fill any bedroom. In addition to wirelessly streaming music from an iOS or Android smartphone, the speaker's battery will charge for up to 10 hours of playback. The built-in mic is useful for group calls, as well. 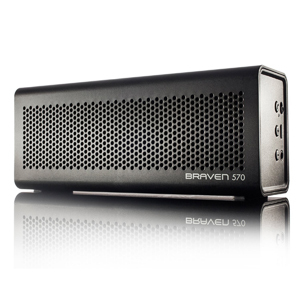 The Braven 570 comes in black, white, red, purple and silver. There's no escaping it: Your kids probably want Apple's trendy iPhone. And by the time they're tweens or teens, they're likely old enough to take responsibility for a smartphone — and it will help you keep tabs on their busy schedules. The cost of a smartphone, especially high-end Apple products, can be a major setback. 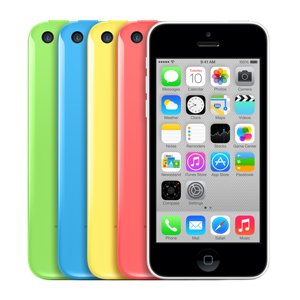 Fortunately, Apple's new iPhone 5C comes in a variety of candy colors at a lower price point, making it an ideal starter smartphone. Just remember to get a good protective case for it — and maybe an iTunes gift card, too, so your teen can load up on apps and games. The gold standard in pro quality video capture — this, the lowest-end GoPro, still gets your surfer, boarder or biker the best action footage out there. The White Edition captures video in 1080p and 5-megapixel stills with a 3FPS burst mode. You can also do time-lapse and — cooler still — remotely control, view and share your footage from an iOS or Android device. 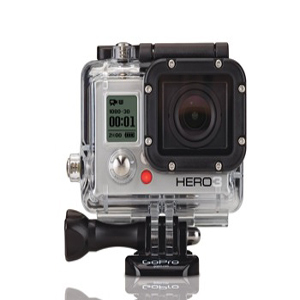 The shockproof, waterproof housing and a massive array of (separately sold) accessories such as head, helmet, chest and dash mounts make a GoPro a huge hit. The Galaxy Note makes balancing screen time between education and entertainment easy, since it's as useful for homework as it is for watching movies and playing games. With built-in note-taking apps designed to take advantage of an integrated stylus, the Note is useful for everything from math and geometry to English and foreign language studies. When it's time to relax, the beautiful 8-inch display makes videos pop, and speedy performance means games run smoothly. If you worry about kids using the Note when they shouldn't be, multiple apps and services give parents deep control over Android tablets. You can restrict or cut off access to the Internet, set time limits, disable apps and more. The Asus Transformer Book would make a good first computer even if it were merely a normal laptop. Small and lightweight, this transforming Windows 8 machine is great for basic tasks and not too heavy to carry back and forth to school. The keyboard is just right for smaller hands. 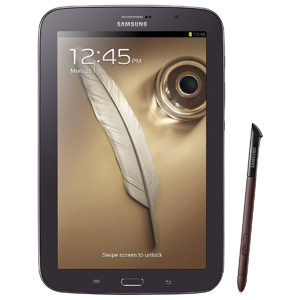 Not only is the screen crisp and bright, it's touch-enabled too — because it's also a tablet. 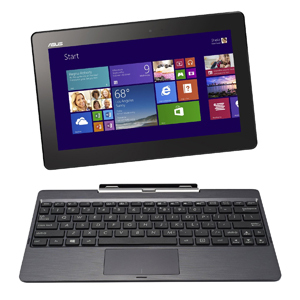 Detach the display from the keyboard base and you have a 10-inch tablet with all the full capabilities of Windows. Whether your kids are playing games, reading books, surfing the web, or video chatting, the T100 transforms into exactly what they need, be it laptop or tablet. What’s cooler than a pocket-sized synthesizer with a built-in speaker? 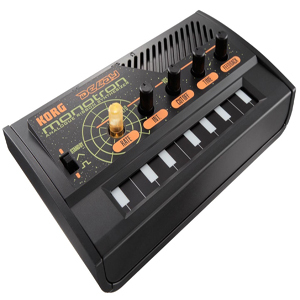 One from Korg that features the awesome, analog synth sounds of yore — think old sci-fi movies and '80s video games. The range of sounds this tiny “toy” can produce using the three primary controls (LFO, cut-off and delay) is staggering. The box has a ribbon keyboard and an auxiliary output so you can apply the filter and delay to other sources. Tons of fun. Immerse yourself in music, movies and games with these volume-limiting earbuds without destroying your hearing in the process. No matter what volume your kids set their devices to, the EtyKids won't pump their audio above a safe decibel level. They can still lose themselves in the sound thanks to passive noise isolation provided by the multiple ear tip options that comfortably fit even small ears. 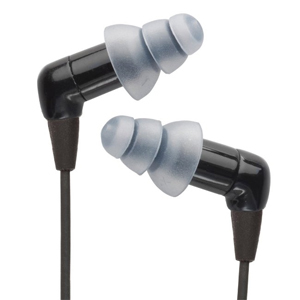 Though these buds are relatively inexpensive, the EtyKids still offer excellent audio quality. Kids will hear every detail. And these earbuds are made to last. The Kevlar-reinforced cable won't wear out as fast as that on more cheaply made headphones.